Every year there are incidents involving machinery contacting overhead power lines or underground cables. 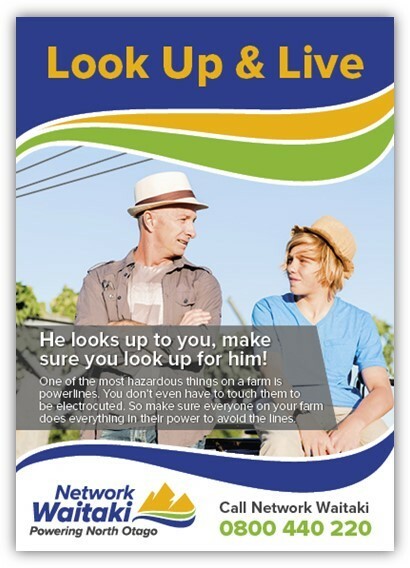 Remember to look up and know where overhead lines are, request plans and locate underground cables before you excavate or put in fence posts. 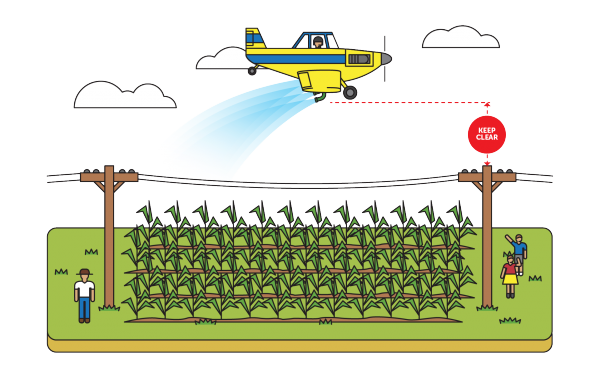 Always ensure aerial topdressing or spraying contractors are aware of where overhead power lines are on your property - Remember to check as new lines may have been installed close to your boundaries. Know the location of overhead power lines and their height above the ground. Know the height of your farm equipment and also your contractor's equipment in relation to the power lines. Keep irrigators well clear of power lines - take extra care when moving lengths of pipe and keep these low to the ground. Always treat all power lines as live. Health & Safety at work Act 2015 can be found here. 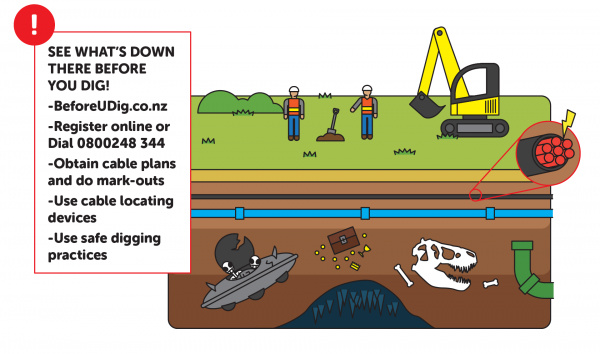 Know the location of underground power cables. Before excavating, trenching or putting in fence posts check that there are no buried cables.